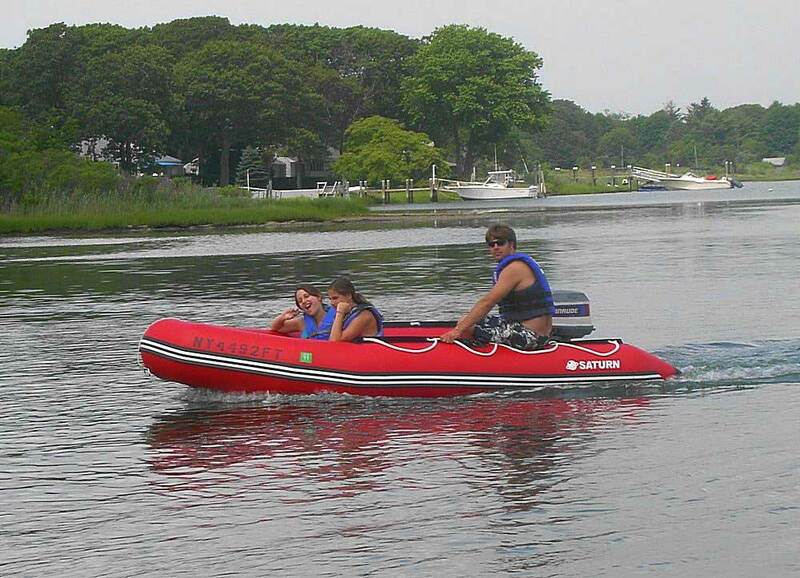 Saturn 13' inflatable sport boats with air deck floors are great as runabouts. 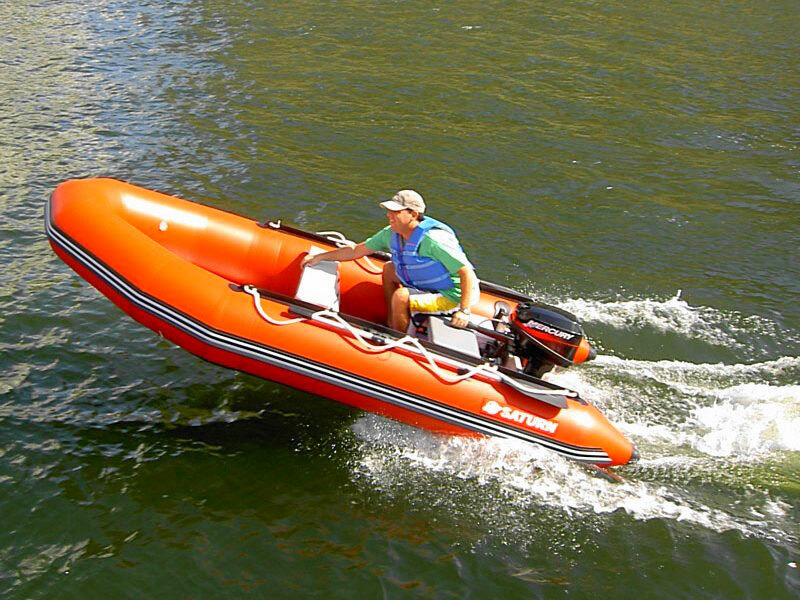 The 13-feet SATURN inflatable boat SD385 is great as a fishing or pleasure boat for 4-5 people. 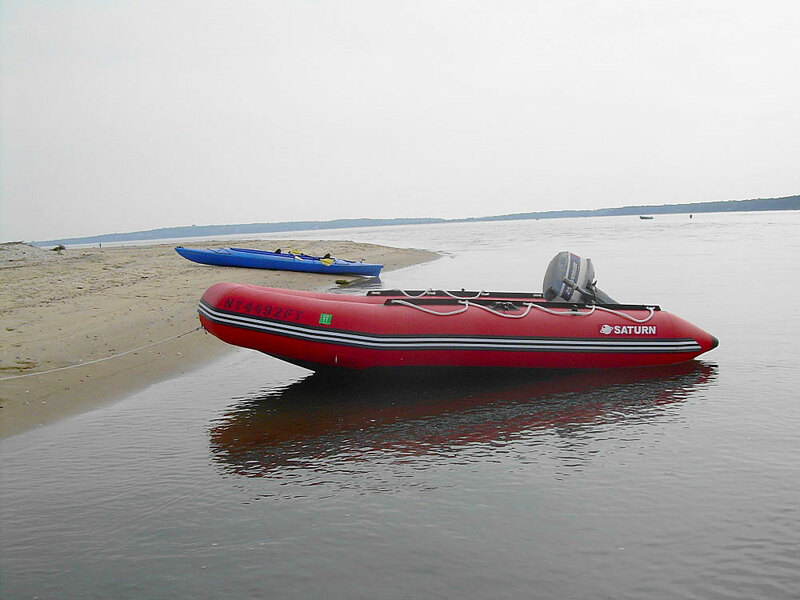 SD385 inflatable boat is great as a large dinghy to carry up to 6 persons maximum from main ship to the shore. It also great as a weekend pleasure cruiser for entire family! 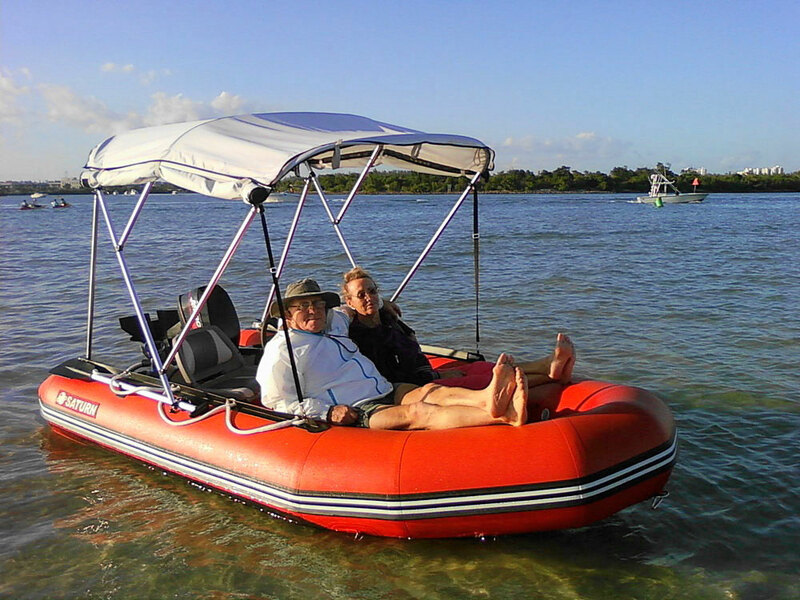 With a 15 HP motor and one person, this inflatable motor boat will fly like a Jet Ski! The SD385 sport runabout was also tested to easily get on plane with a 15 HP outboard engine and 3-4 people, with a cruising speed around of 20-30 mph. 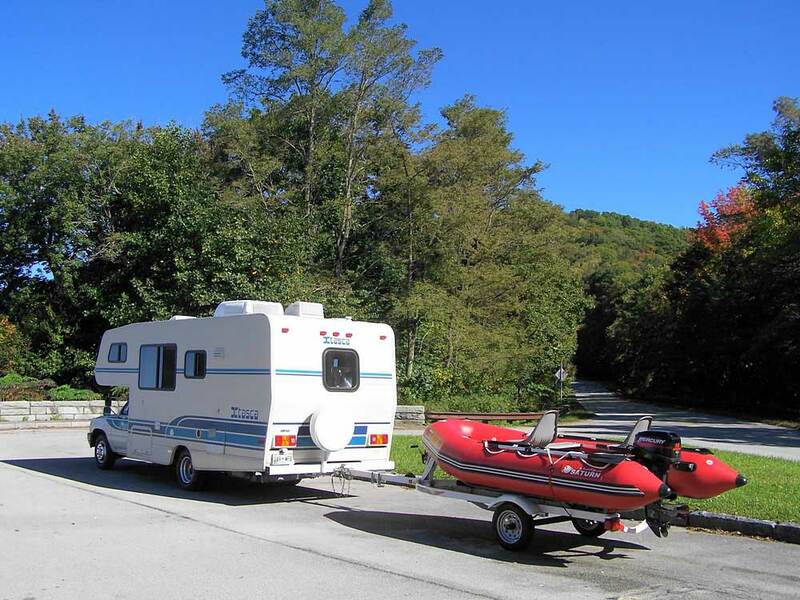 Once deflated and folded, the SD385 boat can be easily stored in the back of your SUV or minivan or in a large closet of your apartment. Bag with deflated and packed boat can be easily carried around with inexpensive folding hand cart. 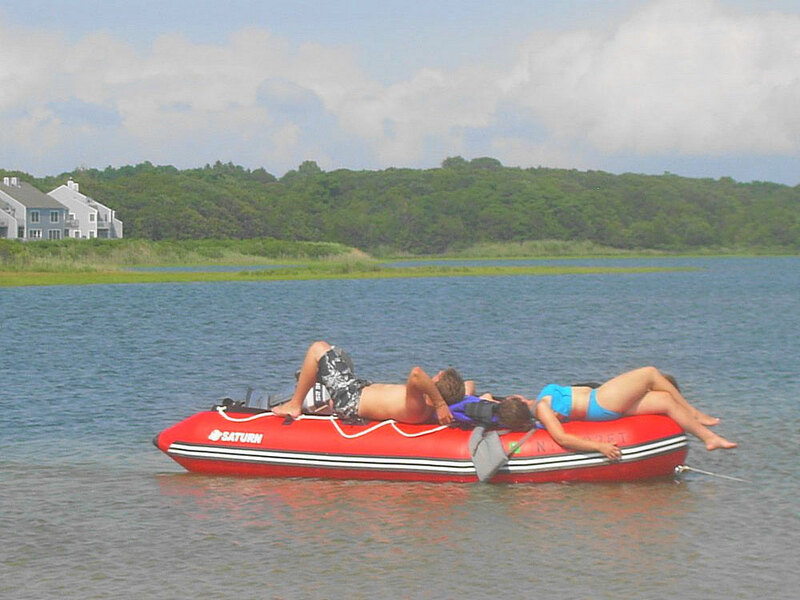 Inflated boat can be easily transported with help of our removable dinghy wheels that are attached to the transom. Saturn SD385 comes with a high-pressure air deck floor, for easier assembly, deployment and greater portability. 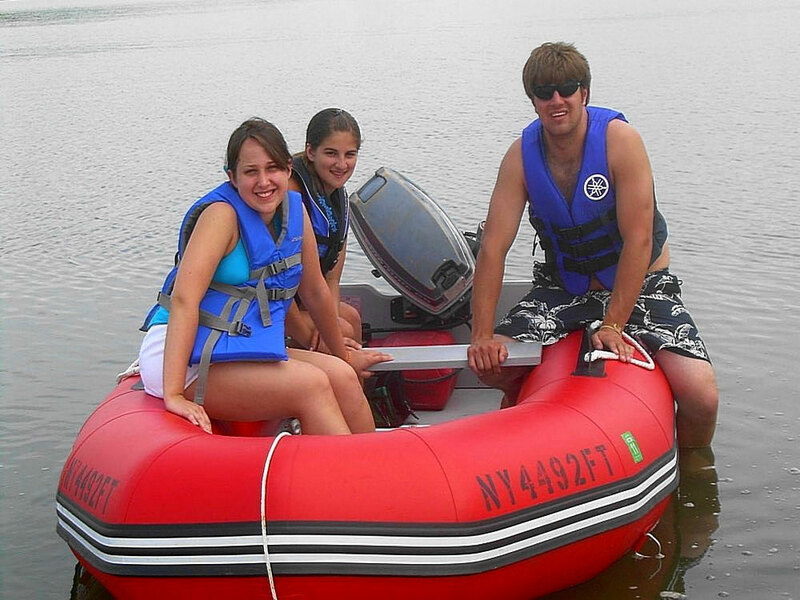 If you are planning on inflating/deflating boat for each use, then air floor is a must. Air floor also adds bouncy to the boat and serves as extra air chamber for added safety. 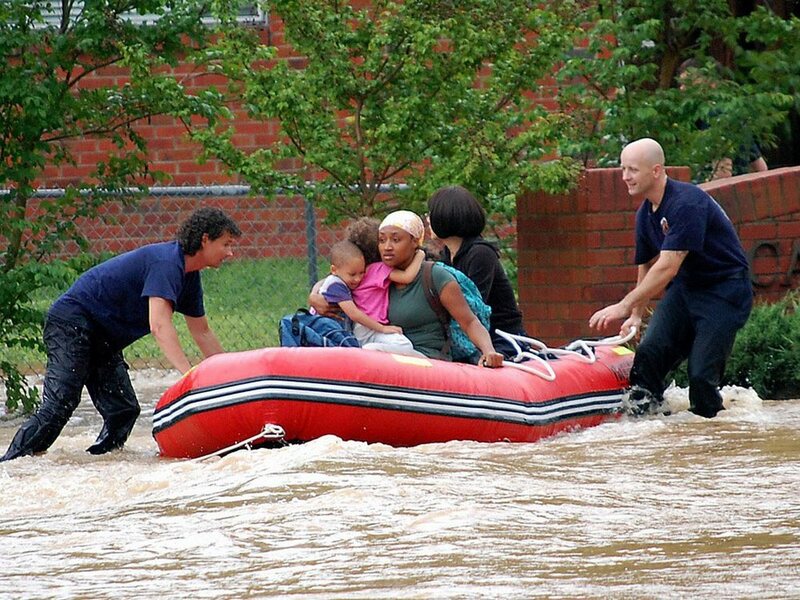 SD385 inflatable boat comes with high pressure air deck floor. 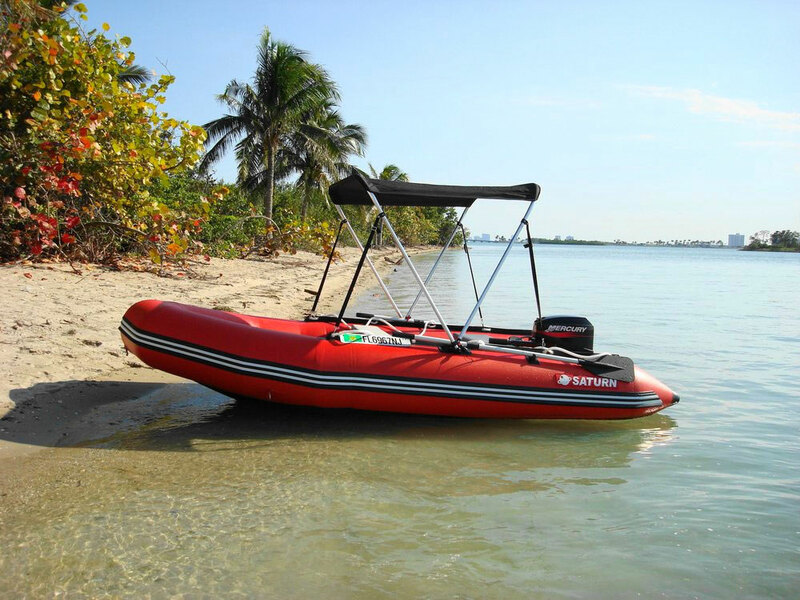 Video of Saturn SD385 Inflatable Motor Boat with 15HP Outboard. I want this one with an air deck. The 12' has been out of stock forever. Tried contacting you. No luck. Do any humans work at boats to go? Called to ask about partnership with Walmart . Guy at BTG had no idea. Neither did anyone at Walmart . It must be secret! 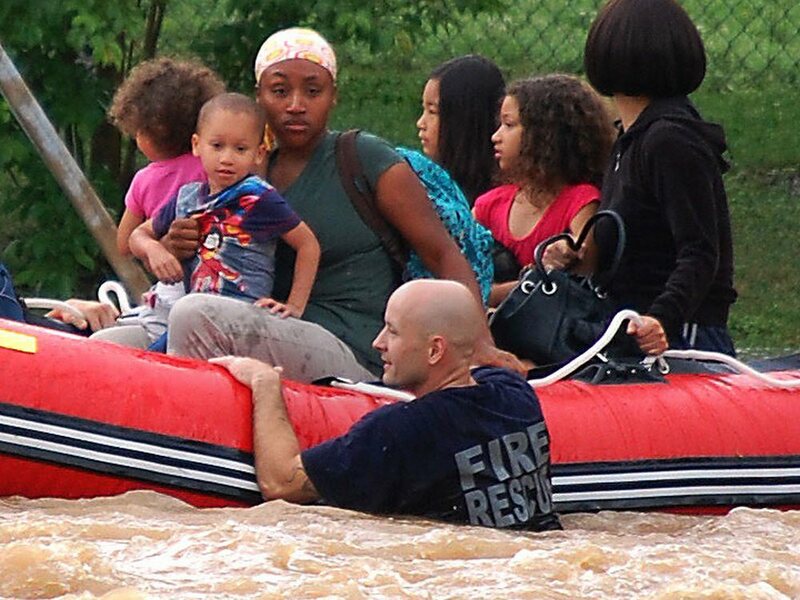 I live on a Lake in Tennessee and see jet skiers and boaters whizzing around, and having lots of fun. 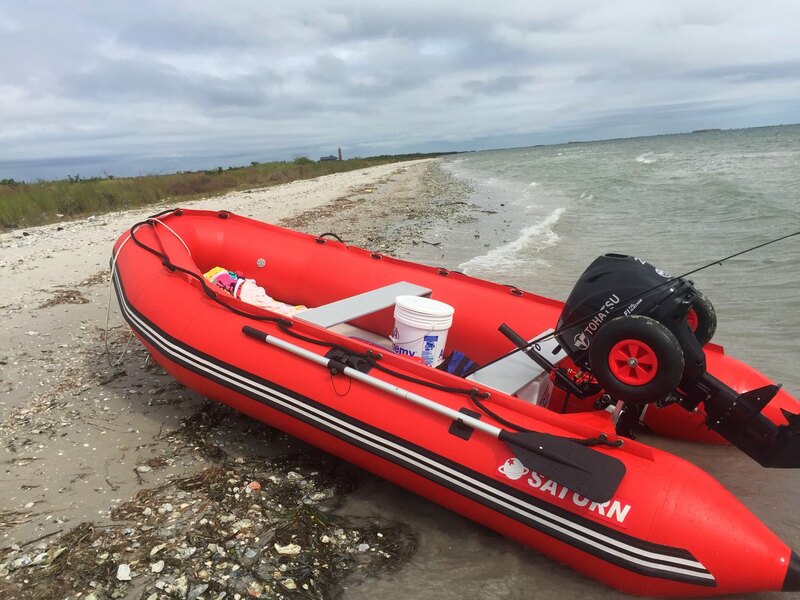 I recently purchased a 13ft sd 385 Saturn Inflatable Boat and decided to join in on the fun. I am an average swimmer with minimal boating skills. The lake is a large and a bit scary in bad weather. I was hesitant to go beyond the shoreline, because I feared that my inflatable wasn't safe enough to get me across the lake. 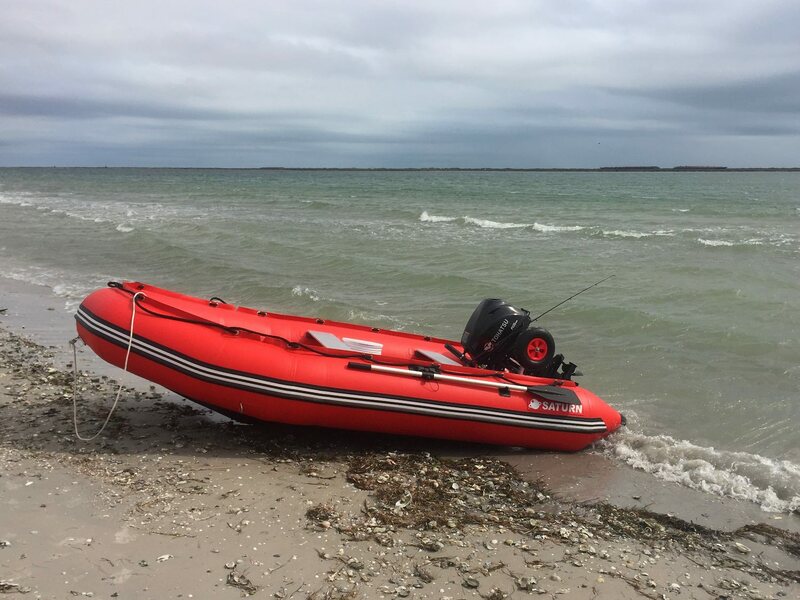 After tons of research on the BoatsToGo website and inflatable boat forums, I come to realize that inflatable boats can actually be safer than fiberglass ones. It makes sense, because a single small hole can sink an entire fiberglass boat. The Saturn boat that I purchased has 4 chambers. You would literally have to puncture all four chambers, for the boat to sink. Once I was enlightened with this info, i was definitely much more confident in my little vessel. As long as the weather is nice, you exercise caution and have all of your safety requirements met, there nothing to be afrade of.